Do you need affordable alcohol and drug treatment Center? If you are looking for affordable drug treatment centers, then contacting Summer Sky Treatment Center should be the first phone call you make today. Our nationally recognized alcohol and drug treatment center have been helping men and women for over 34-years. Our founder believed in providing low-cost affordable treatment options so that individuals and families could remove the barrier of cost out of the equation. Our Board of Directors recognizes that the cost of treatment services is the number one barrier to someone seeking help for alcohol addiction and drug addictions. We provide high-quality addiction treatment at affordable rates so that we can help more people get the help they deserve. Research and observations of years of treating substance use disorders indicate that cost is not an indicator that a treatment center is more effective because it cost more for services. There is no data to indicate that if you pay more for a treatment service that the quality of the treatment is better than a more cost-effective treatment solution. What research and data do show is that treatment cost can be a barrier to people asking for help for treatment services. When deciding to enter a treatment program, it is recommended that you pick a treatment center that is focused on offering evidenced-based treatment and therapy. Why are some treatment centers more affordable than other treatment centers? There are many reasons why treatment centers are affordable, and others are more expensive treatment centers. Treatment centers do cost a lot to operate and if they are larger organizations the cost is even greater than smaller organizations. Below are some reasons that drive up the cost of treatment centers. Substance use disorder facilities are specialty facilities in the United States. Since substance use facilities are a special focused area of healthcare in the United States, it takes specially trained addiction professionals to operate a treatment facility. Treatment Programs that are larger than 100 beds cost more to operate than smaller treatment centers. The cost is shared back to the consumer to pay for the larger organizations. Treatment Centers that are 50-beds or less are usually more affordable treatment centers because the overhead to operate their programs is not as great as the larger organizations. This helps with the ability to offer more affordable pricing of services. Some treatment centers are publicly traded substance abuse treatment facilities that must answer to investors and profit margins are larger for publicly traded treatment centers. Treatment centers that are privately owned and operated tend to offer more affordable pricing to consumers. They don’t have to worry about paying out to investors, so they can afford to keep treatment prices lower for consumers. Some treatment centers recognize that if treatment is too expensive people don’t get the help; they deserve so they are conscious of price and work hard to lower the price of services to help more people access treatment. 30-day treatment center cost less than 90-day treatment programs. The philosophy, history, and mission of a treatment centers board of directors or leaders set the tone for the cost of treatment. Decisions are sometimes made based on helping as many people as possible versus making a profit. More expensive facilities sometimes have a larger staff so the cost of running the business can affect the price of treatment services. Treatment centers that are private pay only facilities usually have a higher cost for treatment services. Treatment Centers that accept In-network insurance are often more affordable treatment options. Out-of-network treatment providers have higher treatment cost traditionally. The cost or price charged for treatment services is not an indicator that a program is better than another treatment program. The attitude that you get what you pay for does not work with treatment centers. Evidence-Based Practices should be offered at affordable treatment centers and at expensive treatment centers. All treatment centers should provide evidence-based treatment services that offer quality addiction treatment services. The best way to know if a program offers evidence-based treatment services is to ask if the program is accredited by The Joint Commission. These treatment centers that are accredited are required to offer evidence-based treatment practice in their treatment programs. If you believe that you may need more individual attention in treatment, then you may want to consider attending an affordable treatment center that can provide this service. Typically, your smaller facilities under 60-beds are more likely to offer this individual attention. There are some larger facilities that also offer this service in some parts of the United States. The lower staff to patient ratio does allow for more attention at a smaller facility. The quality of a treatment program is not based on the price of the treatment center. Quality is based on addiction professionals and their ability to operate a treatment program. Pay attention to selecting a treatment center that is licensed and accredited by The Joint Commission for extra protection and higher standards of care. Affordable Treatment Centers are in higher demand than expensive treatment centers. It is suggested that you don’t wait around too long to call an affordable treatment center. Their bed capacity is smaller so you will want to secure your bed before a waiting list develops. Remember that what is considered affordable to one person may not be considered affordable to another person. If you run into this situation when talking to an affordable treatment center, then ask if they have any special discounts or monthly specials running to lower the cost of treatment. When you do not have the ability to pay for treatment because of financial issues, ask the treatment center staff for a referral to State Funding Treatment Option. Most treatment centers can provide you with this information or point you in the right direction. The cost of rehab centers varies from one program to another, but most affordable rehab programs do accept healthcare insurance. If you have health care insurance and are wanting to save money, then pick affordable rehabs that accept health insurance and are in-network insurance providers. This saves you from having larger out of pocket expenses. Some rehab programs offer special focused treatment tracks or specific programs for different populations. In this case, the treatment program may cost more for these special populations. In some cases, a rehab facility may cost more because of the location of the facility. It just depends on the number of services offered and the location of the facility. It is important that when looking for a rehab program that a person picks a rehab facility that is accredited by The Joint Commission. Every treatment center should evaluate their treatment organizations. The facilities that are accredited by The Joint Commission are required to evaluate their programs on a regular basis. Summer Sky Treatment is an affordable treatment center that offers all levels of care of treatment in the State of Texas. Our treatment center is nationally recognized and provides evidence-based treatment for men and women with substance use disorders. 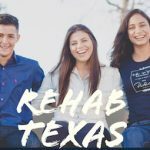 Our Medical Detox Program and 30-day residential and 90-day residential treatment centers are utilized from people in Texas and from around the United States. People living in Abilene, Amarillo, Austin, Dallas, Fort Worth, Houston, Lubbock, Midland, Odessa, San Antonio, Tyler, Waco, and Wichita Falls attend our treatment center on a monthly basis. The reason for this is our long history of providing quality and affordable treatment to the State of Texas. Summer Sky offers a 30-Day Inpatient Treatment Program for men and women that is nationally recognized as one of the best treatment programs in Texas. Our 30-Day rehab facility is an affordable treatment option for those that are trying to find a high-quality treatment experience and are looking for more realistic cost options for treatment services. 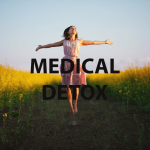 We include medical detox in the price so that a person is only paying one price for treatment. In addition to offering affordable private pay rates, we are contracted with all major health insurance companies. Our 30-day treatment programs are covered by in-network health insurance companies which help individuals and families reduce out of pocket expenses. Many individuals need more than 30-Days of treatment to stay sober from alcohol and drugs. 30-day treatment programs are great programs, and most patients utilize these treatment models for many different reasons. However, if you are someone that finds yourself continually relapsing or have a coexisting medical and psychological disorders with a substance use disorder, then consider attending a 90-day residential treatment center. We now know that it takes some individuals up to a year for the brain to reset back to the previous functioning. Evidence suggests that the longer a person can stay in treatment services the greater their chances of remaining clean and sober after discharge from a residential treatment center. People that have been diagnosed with severe substance use disorders can utilize a 90-day residential treatment center to greatly enhance the likely hood that they will stay sober after treatment. 90-Day Residential Treatment Centers can help a person become successful. Time is a big healer when it comes to addiction. However, the problem is that people with alcohol addictions and drug addictions will need to learn how to interrupt the relapse process. In treatment, a person should begin to learn how to interrupt the relapse process. For people that attend a 90-day treatment program, there is more time to learn to master this skill with minimal distractions in treatment. A person that has a longer detox experience or is fixing to complete a 30-day treatment program and needs additional help may need to consider a 90-day program option. Individuals that have a history of relapse should consider this option when returning to treatment after a relapse. If you are interested in a 90-day treatment center, contact Summer Sky to discuss our affordable 90-day treatment program. If you need treatment, don’t let cost be a barrier to you receiving help for an alcohol and drug problem. While different treatment centers do have different price points for addiction treatment services if you don’t have the ability to pay for treatment or don’t have health care insurance, then contact an affordable treatment center and ask where the nearest state-funded treatment program is located. There are free treatment centers for people that do not have the ability to pay for treatment. Some treatment programs do offer discounted monthly specials all you have to do is ask the treatment provider if they are running any private pay specials. Addiction treatment is considered an investment in your future, so it is important to seek help for your specific alcohol or drug problem. Don’t let the cost of a rehab program get in the way of you asking for help from an addiction treatment center. You may find that you are experiencing anxious feelings about asking for help and you are not alone with having this feeling. It takes a lot of courage to ask for help from a treatment center. When calling an addiction treatment center remember they are available to be helpful and most treatment programs have 24-hour compassion staff member answering their phones. They want to help you with your treatment needs. Alcohol and Drug Treatment Centers offer different levels of care of treatment. The levels of care offered at a facility cost different prices. People may need different levels of care when asking for help from a treatment provider. Summer Sky Treatment Center is available to answer questions and discuss the various treatment programs that we offer for those with alcohol and drug problems. You can contact Summer Sky 24-hours a day at 1-888-857-8857.